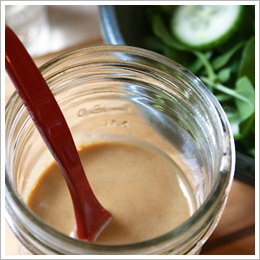 This is one of my favorite super easy Asian-style salad dressings. 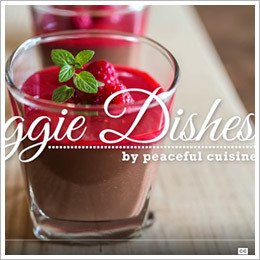 This is great not only for cold or warm salads, but also for cooked chicken or pork. My annual detox is still ongoing and this year I decided to continue for a longer time than in previous years. I hope it will be a lifetime change rather than once-a-year deal. I am in my mid-40's and my body does not adjust easily anymore. So instead of trying to fix the problem once a year, it makes more sense to prevent having problems. 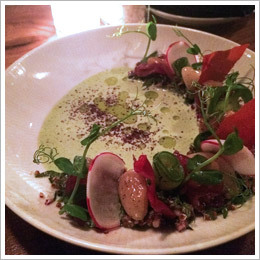 The best of January 2016 goes to TIMNA in East Village. Since I am on my annual new year detox diet right now, when we go out for dinner, we try to pick a place which has many healthy dishes. Mediterranean restaurants usually offer many healthy options and I personally really love Mediterranean cuisine.